1 Bedroom Flat For Sale in Tavistock for Asking Price £129,950. St Johns Court is a light airy second floor apartment in a modern purpose built retirement block. Its quietly located but conveniently close to Tavistock town centre. 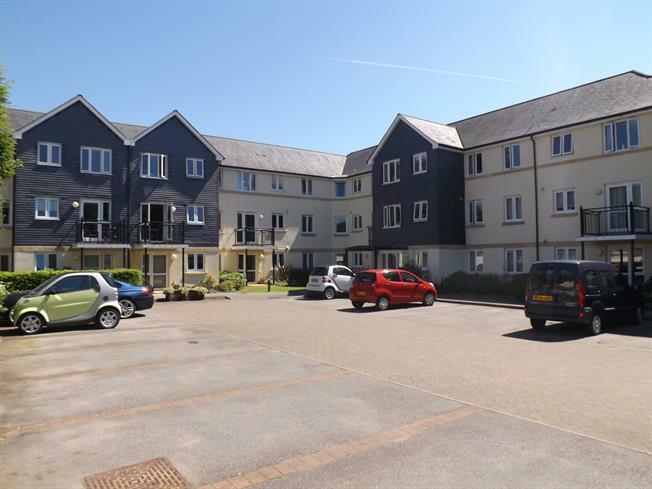 St Johns Court, Tavistock, is an attractive block of retirement apartments situated at the end of a cul-de-sac within easy walking distance of the town centre. Tavistock itself is a lovely little town in West Devon with a beautiful river, pleasant park and lots of independent shops as well as a regular market and its own art centre known as The Wharf. The town has supermarkets of various sizes and industrial estates housing traders and technicians of all sorts. There are many local interest groups including a U3A branch, Walk and Talk, Macular Society and various churches with religious meetings. Regular bus services and plentiful taxis are a feature of the town. Very close to the apartments via a level walk is the Tavyside Doctors Surgery and a pharmacy. This attractive block of apartments has its own private secure grounds and coded access gates. There is ample parking within the grounds. There is a warden on hand to help most of the time and an out of hours system to cover the times she is not on site. On entering the building you will find the wardens office on the right and a large residents lounge and kitchen on the left. Theres usually a jigsaw on the go. Its in the lounge where the many groups within the building meet to undertake their activities practically every day. Along the corridor to the left can be found the onsite self-service residents laundry and drying room as well as the indoor refuse disposal room. Also down the corridor to the left is the Guest Room which is available to all residents to book for a nominal charge when they have insufficient room in their own apartment for visitors. The block is served by a lift and two flights of stairs to all three floors. Outside there are places to sit and gardens to walk in as well as the car parking. These are all looked after as part of management agreement. The Apartment is on the second floor. It has a lovely sunny south easterly outlook. The property itself is very well insulated against the cold and noise from adjacent apartments. 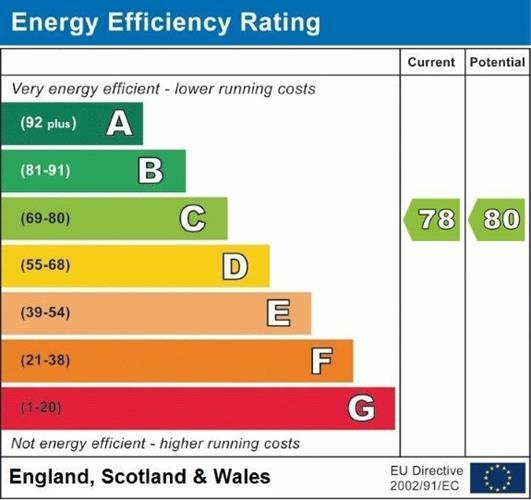 There is double glazing throughout as well as plenty of electrical sockets and TV points. There is a small well laid out kitchen. The property has one good sized double bedroom and separate shower room. There is no onward chain to delay purchase. Double glazed window. Fitted wall units. Fitted base units with laminated worktops with tiled splash backs incorporating stainless steel single drainer sink unit with mixer tap, built-in four ring halogen hob with extractor hood over. Built-in fan assisted electric oven and grill. Built-in fridge. Built-in freezer. Wall mounted electric down draught wall heater. Power points. Double glazed window. Fitted wardrobe with mirror fronted doors providing hanging rails and shelving. Night storage heater. Suite comprising shower cubicle with glazed sliding door and screens. Vanity wash hand basin with cupboard under. Low level W C. Tiled walls. Down draught wall heater. Fitted mirror with wall light and shaver point over. Extractor fan. To the front of the development there are parking spaces and around the building are the gardens.